4 String Bass Guitar Strings. 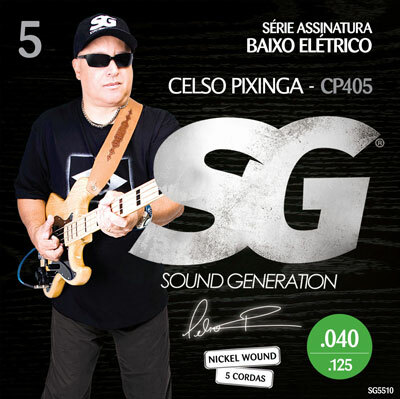 Strings signed by Celso Pixinga offer layers of nickel (Nickel Plated Steel) and a hexagonal steel nucleus (core). The strings have a brighter sonority, heavier tone, and excellent technical execution for slapping, two-hands and pizzicatos. Offered as both 4 and 5 string sets.